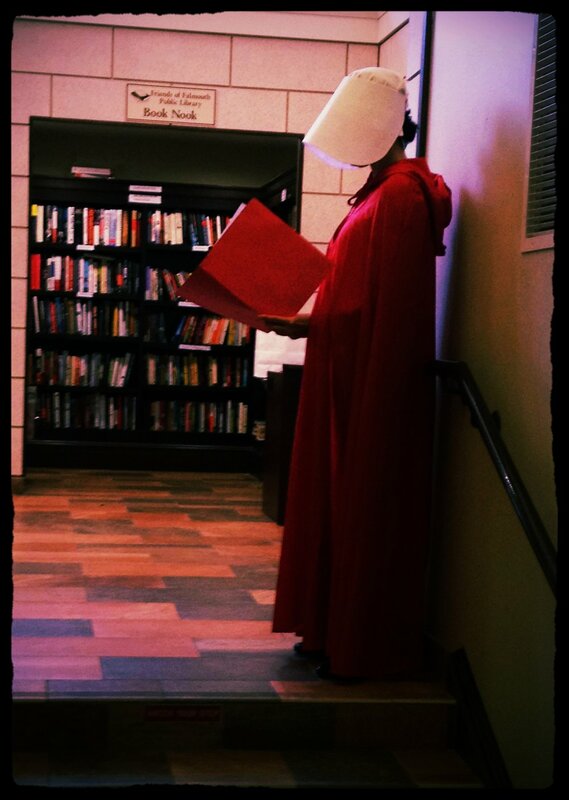 One of the vital pieces of any Handmaid Coalition event is the iconic costume. These costumes are constructed by amazing volunteers in many states. By sponsoring a costume, your donation helps cover cost of materials to be used in costumes that are shared by volunteers at demonstrations across the country. Multi- Costume Sponsorship: Your donation of $100 provides Handmaid Coalition the ability to purchase materials in bulk which significantly reduces the overall cost of each costume. This donation covers the cost of material for SIX costumes. Single Sponsor: By donating $25, you can help create one complete costume (cloak and two head pieces) to be used in demonstrations. 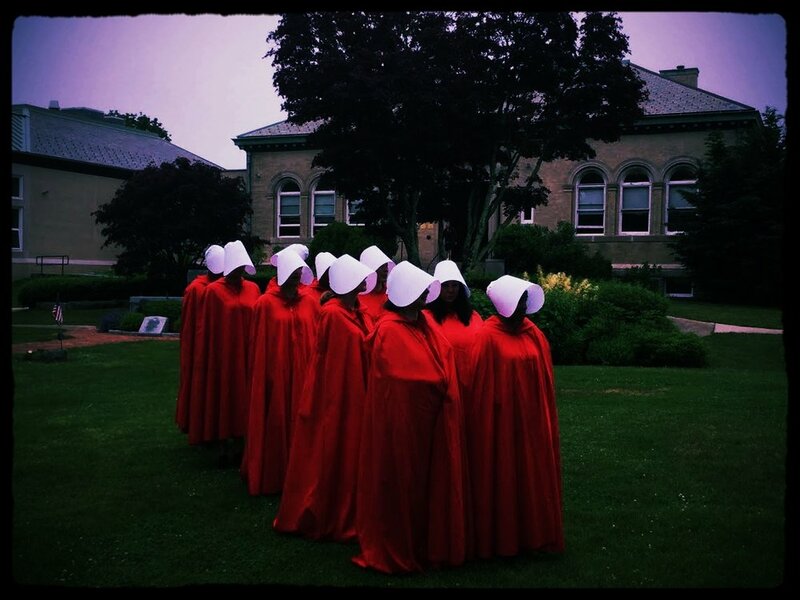 By donating $50, you can help create a set of two costumes; everyone knows Handmaids travel in pairs! For all of the sponsorship options, we also invite you to share your name (if you so choose) or a very brief message to be included on a tag sewn into the costumes to be seen by those demonstrators wearing them!